This page goes into detail about some of the different experiences I've had with DDRMax. It's also the repository for my high scores, so hopefully you won't mind a bit of self-promotion as well. Ahh, yes. The first version of DDR that I played and one of my favorites too. 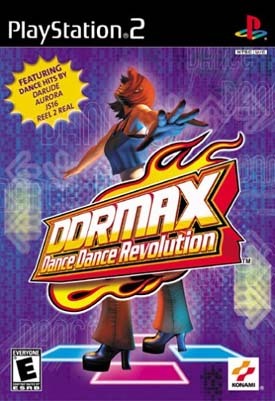 DDRMax (USA) has a ton of great songs in it, ranging from the sublimely easy (Cutie Chaser!) to the extremely difficult (Max300). 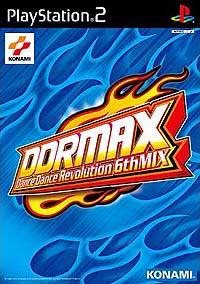 I recently managed to get a copy of the Japanese version of DDRMax (6th Mix) as well, so those songs are included here too (some really obscure - but good! - songs in there). Rather than ramble on any further here, I'm going to first post the table of my scores, followed by comments and reflection below. 5.1.1. (Heavy) 50,000,000 AAA 206 206 100% 0 "AAA" #207!!! Baby Baby Gimme Your Love (Heavy) 60,000,000 AAA 326 326 100% 0 "AAA" #92!!! Bye Bye Baby Balloon (Heavy) 50,000,000 AAA 792 792 100% 0 "AAA" #216!!! Candy Star (Heavy) 49,615,445 AA 823 828 99.40% 5 SDG (5) Luv Unlimited! celebrate (Heavy) 50,000,000 AAA 520 520 100% 0 "AAA" #210!!! Cow Girl (Heavy) 50,000,000 AAA 684 684 100% 0 "AAA" #218!!! Cutie Chaser Morning Mix (Heavy) 50,000,000 AAA 302 302 100% 0 "AAA" #13!!! Dark Black Forest (Heavy) 50,000,000 AAA 710 710 100% 0 "AAA" #11!!! Deep In You (Heavy) 50,000,000 AAA 442 442 100% 0 "AAA" #85!!! Do It Right 2Step Mix (Heavy) 70,000,000 AAA 674 674 100% 0 "AAA" #238!!! Do You Remember Me (Heavy) 50,000,000 AAA 770 770 100% 0 "AAA" #217!!! Exotic Ethnic (Heavy) 49,395,535 AA 971 988 98.3% 17 Must... double... step! Fantasy (Heavy) 49,500,635 AA 875 880 99.43% 5 SDG (5) Tore this one up! Follow Me (Heavy) 50,000,000 AAA 720 720 100% 0 "AAA" #15!!! Gambol (Heavy) 50,000,000 AAA 302 302 100% 0 "AAA" #208!!! Get Me In Your Sight (Heavy) 50,000,000 AAA 568 568 100% 0 "AAA" #214!!! 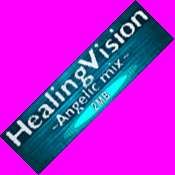 Healing Vision Angelic Mix (Heavy) 49,907,765 AA 957 958 99.90% 1 SDG (1) Wanted It SO MUCH!!! Holic (Heavy) 50,000,000 AAA 626 626 100% 0 "AAA" #87!!! I Like to Move It (Heavy) 50,000,000 AAA 638 638 100% 0 "AAA" #83!!! I'm In the Mood for Dancing (Heavy) 50,000,000 AAA 644 644 100% 0 "AAA" #249!!! Kind Lady (Heavy) 70,000,000 AAA 678 678 100% 0 "AAA" #4!!! Let's Groove (Heavy) 59,760,060 AA 460 462 99.6% 2 SDG (2) VERY close! Let's Talk It Over (Heavy) 50,000,000 AAA 386 386 100% 0 "AAA" #202!!! Let the Beat Hit Em (Heavy) 50,000,000 AAA 370 370 100% 0 "AAA" #86!!! Let the Beat Hit Em R&B (Heavy) 50,000,000 AAA 384 384 100% 0 "AAA" #10!!! Logical Dash (Heavy) 80,000,000 AAA 556 556 100% 0 "AAA" #77!!! Look to the Sky System SF (Heavy) 50,000,000 AAA 574 574 100% 0 "AAA" #206!!! Max300 (Heavy) 46,972,480 AA 1064 1122 94.8% 58 OMG! "AA" on Max 300! Midnite Blaze (Heavy) 49,911,890 AA 665 666 99.85% 1 SDG (1) So close so many times! My Generation (Heavy) 50,000,000 AAA 506 506 100% 0 "AAA" #2!!! Never Let You Down (Heavy) 50,000,000 AAA 532 532 100% 0 "AAA" #204!!! Nori Nori Nori (Heavy) 50,000,000 AAA 526 526 100% 0 "AAA" #219!!! Ordinary World (Heavy) 49,155,050 AA 743 754 98.5% 11 This song is very hard! Overblast! (Heavy) 50,000,000 AAA 496 496 100% 0 "AAA" #205!!! Paranoia Evolution (Heavy) 80,000,000 AAA 750 750 100% 0 "AAA" #192!!! Peace Out (Heavy) 50,000,000 AAA 502 502 100% 0 "AAA" #203!!! Remember You (Heavy) 50,000,000 AAA 394 394 100% 0 "AAA" TWO HUNDRED!!! Rhythm and Police (Heavy) 49,915,160 AA 837 840 99.64% 3 SDG (3) Double-Stepping Full Combo! Rugged Ash (Heavy) 50,000,000 AAA 362 362 100% 0 "AAA" #213!!! Sana Morette Ne Ente (Heavy) 50,000,000 AAA 588 588 100% 0 "AAA" #102!!! Sandstorm (Heavy) 50,000,000 AAA 594 594 100% 0 "AAA" #84!!! Share My Love (Heavy) 50,000,000 AAA 456 456 100% 0 "AAA" #211!!! Silent Hill (Heavy) 70,000,000 AAA 530 530 100% 0 "AAA" #95!!! So Deep (Heavy) 87,391,080 AA 977 1002 97.5% 25 2x Full combo, 25 Greats! Sobakasu Freckles (Heavy) 50,000,000 AAA 694 694 100% 0 "AAA" #14!!! Spin the Disc (Heavy) 50,000,000 AAA 656 656 100% 0 "AAA" #209!!! Synchronized Love (Heavy) 50,000,000 AAA 794 794 100% 0 "AAA" #201!!! Take It To The Morning Light (Heavy) 50,000,000 AAA 566 566 100% 0 "AAA" #215!!! The Shining Polaris (Heavy) 50,000,000 AAA 918 918 100% 0 "AAA" #12!!! Trip Machine Climax (Heavy) 90,000,000 AAA 684 684 100% 0 "AAA" #195!!! www.Blondegirl (Heavy) 50,000,000 AAA 518 518 100% 0 "AAA" #16!!! Witch Doctor (Heavy) 49,466,480 AA 873 886 98.5% 13 Woo! This song rocks! You Leave Me Alone (Heavy) 50,000,000 AAA 668 668 100% 0 "AAA" #212!!! Yozora No Muko (Heavy) 49,851,260 AA 663 664 99.85% 1 SDG (1) Aaahhhh! 9-footer here! A couple notes about the table... All songs are Heavy unless listed otherwise; I am not keeping track of Light and Standard scores to avoid clutter (and going crazy). The scores for all songs in DDRMax have a maximum value of 50,000,000 (which can only be achieved with a "AAA"), and then a bonus is added onto that score after the song is complete (for simplicity's sake, I have not listed the bonuses for each song). 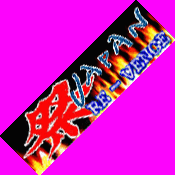 Any score over 50,000,000 comes from playing the same song on a different version of DDR, most likely DDRMax2 or DDR Extreme. "SDG" is an abbreviation for "single-digit greats", meaning that the player was within 9 Dance Points or fewer of getting a "AAA". SDGs are essentially a level between "AA"s and "AAA"s, since the latter are so rare. I am also using the words "Almost" and "Miss" instead of the word "Boo" to avoid any confusion. This song is a fun 9-footer, one of the rare songs that I like to come from DDR 5th Mix. 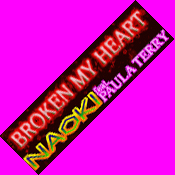 Broken My Heart moves along at a brisk 160bpm and throws a lot of different things at you: a sixteenth note pattern to start, a number of crossovers, lots of double steps in the middle of eighth note runs, and so on. It's not the easiest song, but I've always liked the music that went along with it. A good song to play. Luv Unlimited! Definitely one of my favorite songs, Candy is a very fast (196bpm), very happy Japanese pop song which serves as the One More Extra Stage in this particular mix. It also happens to be the music that plays during the credits. The speed of this song makes it a fun 8-footer, even though it's packed with crossovers. You can spin in this song too, although that's tough to do. Playing this song makes me happy. Now this is another very cool song. Ecstasy is a rather easy 7-footer, but the steps are written to accompany the music beautifully, making it highly entertaining to play. There are also two stops in the music to make it more interesting, the first one being two measures long and the second one four measures in length (this is where my friend Chris says the song "stops forever"). Ecstasy was one of the first songs that I learned how to do on Heavy, and it's still one that I play frequently. I also like this version much better than the remixed Ecstasy in 7th Mix. This song comes from all the way back in 4th Mix days, but it's still a good one. Era starts out with short streams of eighth notes (flying along at 180bpm), then gradually extends them longer and longer until a slowdown to 90bpm (half-tempo) occurs at the halfway point. The rhythm synchs with the music during the slow section, then the tempo goes back to 180bpm and the long eighth note runs return, capped off by a final one of 63 notes in a row. A great workout to warm up for a DDR session. 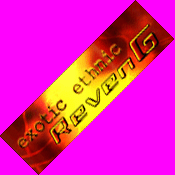 Exotic Ethnic is one of the hardest songs in DDRMax, a blazing 9-footer racing along at 190bpm and packed with difficult eighth note patterns. If it were just the speed, the song wouldn't be too hard, but the eighth notes can only be done easily through constant turning of the body. Since I stink at these kind of crossovers, this song is tough. If that's not enough, this song has about a million freeze notes in it. Still, I do like this song, and the background music has a neat Indian theme, making extensive use of sitar. What's not to like about that? All I can say is WOW. This is a VERY hard piece of music, and I am inordinately proud of myself for being able to get a "AA" on it. 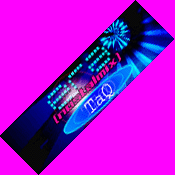 Healing Vision Angelic Mix starts out at an amazingly slow 49bpm (!) 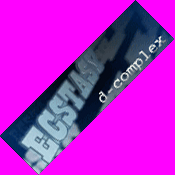 as the initial arrow pair slowly scrolls up to the top of the screen. As soon as you hit the first note, the song immediately speeds up to 196bpm with no break whatsoever and launches into a series of difficult eighth note runs. If you aren't prepared, you're likely to fail out within the first 10 measures. The song keeps pounding run after run at the player (many with double steps mixed in) with no chance to rest, until about 3/4 of the way through the song there is a stop in the music - for 1 beat! - followed by a devastating run of 128 straight eighth notes into the end of the song. Brutal, just brutal. Only the very talented will be able to dominate this song. Can you say "gallops?" This song is quite fast at 180bpm, and anyone who can't do gallops will quickly be out of this 9-footer. Matsuri is probably one of my best songs in all of the DDR games, simply because there is exactly 1 crossover in the entire piece (right at the end), and I am very good at locking into the tempo and getting all of the steps. Matsui has a LOT of notes; 447 according to its step chart, so it's a test of endurance in many ways. Many long runs of eighths and/or gallops here. Lots of fun for those reasons. Out of the dozens of Paranoias, this is probably my favorite. Paranoia Evolution flies along at 200bpm the whole way and doesn't try to do anything real tricky, just firing run after run of eighth notes at the player. Many of them have double steps in them, and a lot start on off-beats too (fun). Although this is one of the hardest songs in DDRMax, for some reason it's only an 8-footer? OK, sure, but it's a tough one. Rhythm and Police is one of the most popular DDR songs of all time; apparently this was the theme song music to an obscure Japanese TV police show. In any case, this fast (170bpm) 9-footer has nothing but gallops and crossovers strung throughout its length, making it one of my worst songs in this mix. It has the distinction of being the last song in DDRMax that I got an "A" on, which should give you an indication of the difficulty. Love the background music for the song though, very upbeat and catchy. Ahh, the most difficult and only 10-footer in DDRMax. In fact, Max300 was the first-ever 10-footer and is also the song for which the entire game is named. With that in mind, you know it has to be a doozy of a song. The actual steps in Max300 are pretty simple, nothing but a series of eighth note runs, but the speed is a whole different issue. 300bpm is freakin' FAST! No other song in this mix tops 200bpm, so Max300 is fully half again as fast as anything else. If the song were Max250, it would be pretty easy, but speed kills on this one. Even though some of the newer 10s are (significantly) more difficult, this will always remain a classic. Dedicated practice is the only way to beat this one. The next page is pretty similar, only about DDRMax2.